Brawl Stars Beginner’s Guide – Hey Gamers, Getting started with the game? Don’t know what to do? How to perform? Losing Continuously? Then this article is completely made for you, Read till the end, I am pretty sure that, You guys going to learn a lot. Brawl Stars has been launched worldwide & Its running successfully. Many Brawlers are getting revamped and new skins are coming! 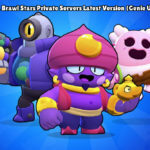 Brawl Stars is a new interesting MOBA (Multiplayer Online Battle Arena) type game from the great creators of Clash of Clans, Clash Royale, Hay Day, Boom Beach. And we Believe that this game is going to hit worldwide. So as a Gamer, You have to choose one character from a variety of Brawlers And use different strategies to dominate the enemy brawlers on different game types with different objectives on each. So, Without wasting a single second, Let’s Dive deep into Brawl Stars Pro Guide 2019. 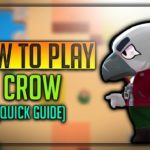 So, How to give commands to your brawlers? There is a virtual joystick at both sides, On the Left of the screen, there is a rotating Virtual Analog, Where you have to rotate to move your character on 4 directions. On the Right Part, There is another control to launch an attack, Basically, You have to swipe to select the area where the attacking would be performed. You can also tap to instantly attack. There is a Brawl yellow skull symbol, Which indicates a Special Brawler Attack, Which you can launch on the enemy, You have to swipe and attack the enemy or tap to launch it, Special Brawler attacks are loaded when you damage the enemy. On the Battle Arena, If you see, Brawler has something on his head, One Green Bar which is for HP and another three red bars, Which is the number of attacks you can do at a time. For example: Take Colt, If he has three bars, Then he can shoot 3 times, Then after he has to wait. Both HP bar and Attack bars get reloaded with time, If you are running on low HP, Hide somewhere in bushes to regenerate health. Inorder to unlock the achievements in Trophy Road and level up, You need to gather Trophies. Trophies are awarded either win or loss depending on winning or losing the game. Each brawler have their own individual trophies. If a high-rank brawler wins he will gain less trophy, On losing he will lose more trophies. When a Brawler is ranked up, He is provided with 10 keys. To upgrade your brawler to next level, Which will make him stronger in Attack and health. You will need power points, Each brawler has pool quota of power points to advance to next level. Collect that much amount of powerpoints either from Brawl Boxes or Shop, Level up them by paying some Gold. 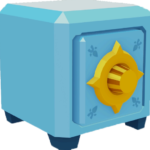 Coins are basic currency in the game, They are obtained from Brawl Boxes, Trophy Road Achievements or Shop. They are used to upgrade Brawlers or buy daily deals from the shop. Gems is a Premium currency in the game. You can get gems from Brawl Boxes or you have to buy it from the shop. You can use gems to buy Brawl Boxes, Brawler Skins, Key Doublers. Keys are stored in keybank, It is used to open Brawl Boxes. There are two types of key one is normal key and Star key. Normal key is used to open normal box. Star key is used to open Big Brawl box. You can get keys by participating in different events and check in the game daily. They are also awarded when you play new event for the first time. Key Doublers can be bought in shop to double the amount of keys to get in the event. Brawl Boxes are the boxes like Clash Royale Chests. You will get different items such as powerpoints, Coins, Gems and more. When all of your Brawlers are in the maximum level, No powerpoints would be awarded instead more coins will be. Experience is XP of your account, It cannot be lost, unlike trophies. If you become a star player, You will get more experience. On levelling up, You will get more keys to unlock Brawl Boxes. Tickets are entry pass to enter Special Events. You get 2 free tickets when a Special event is announced. The Key reward which you will get is multiplied by the number of tickets you used to enter the match. Leader Boards are boards present in the game. Here top 200 people from all over the world are listed here. The person with maximum trophies come here. Main way to win the game is to know what the game type is and understanding its objectives are more important to win the game. For example, Gem Grab mode in it we have to gather and hold gems, Whereas Shown down is last man standing wins. Let’s see different types of game modes in a quick overview. In the centre of the arena, There is Crystal mine, Where crystals are produced at a particular time. This is a 3 Vs 3 battle, Where a team objective is to capture and hold 10 Gems, Until the countdown. On death, Gems will spill up. On end of the timer, Team with most gems wins. The main objective of the game is to destroy other nine members, You can use whatever to beat them. As time progresses, There is a Poison gas surrounding the arena, Which will force all Brawlers to come to the limited area. It is a 3 Vs 3 Battle, Where your objective is to defend your safe & Destroy enemies safe. The team which destroys safe first wins, Or the team which damaged the most to safe. If neither team did no damage or destroy the safe at the same time, Then it is considered as draw match. Like Football, You have to fight and take the ball and score Goal. Each team three players, Ball at centre. A team that scores two goals win. Kill Other Team Brawlers, Team with More stars wins. In Bounty, There are 3 Vs 3, Each brawler starts with two stars, When he dies Reset back to two stars. If a brawler is killed, His one star goes to the killer, Killer gains up to 7 stars. You will have a friend to accompany you, You will respawn at a particular level, If your friend is alive. Destroy other team members to win. So that’s all about game types, Depending on Each game type, change strategies and work. There are different types of events, Mainly 4 events are present in the Battle tab. Daily Events are available daily like Gem Grab, Showdown, Each have a map which is valid for a specific time After it gets changed again after the time ends. First three tabs are daily events. Special Events are available weekly once or in a special day, Special event includes Robo Rumble, Boss Fight. Unlock all the events by increasing your trophy levels. Simply press the event for the first time get keys for free, And winning the event for the first time, It will fetch you star key. Similar to Clans in Clash of Clans, You have to create Bands here to enjoy the game with multiple friends, Share strategies with them. Social Gamerooms, Chat, Brawl Together, Share strategies. Bands Trophy is calculated by the total amount of trophies that each individual member possess. Each club can have max of 100 members. You can create a new Game room, Invite Band members to fight along with you. This is one of the main tips I have, You should know your brawler, Each Brawler has their own Strength and weakness, Attacking range, Speed, Special Attacks. Range plays a very important role. So, If you know completely about your Brawler, Then you can perform really well in the game. EL Primo – Powerful Wrestler Type, He is Close Combater, So Must Reach out to Enemy, He is bit slow, Good HP. Colt – He is Long range shooter, You can shoot from long range, He is Good in speed, But low health. Shelly – She is Shotgun Holder, Her attack spreads wide but area is less, You have to go closer and attack. So each of them has their own special abilities, Pro’s and Con’s, As a Beginner, You should know about your Brawler. It is very very important. Gem Grab – You just need to Grab 10 Gems and defend, You don’t need that much aggression than showdown. Brawl Ball – You need to be bit aggressive to score goal. Showdown – Where you have to be sneaky and aggressive. So knowing the objective of the game and selecting Brawlers according to it is very useful. In Brawl Stars, Whenever you are damaged and idle, Your both Attacking bar and Health Bar regenerates at a Period of time, So don’t keep on fighting, Know when to retreat. Take Rest! and fire back. If you are damaged you can hide in a bush, or Poco Brawler in your team can help you heal fast. Don’t Forget! The enemy also has the same thing. You will Regenerate Only If you are idle for a particular amount of time. Dodging is very important in the game, Obviously, you don’t want enemies Super attacks and attacks to be focused on you. Never Ever Have a Fixed Pattern of Movement, Always randomise your pattern, So that it will be tough for the enemy to Guess! There are three types of dodging, However, it depends on speed of Brawlers too. When you are tackling a long-range shooter, Move in Zig zag in this way, Enemies attack will get wasted. It Works best against when attacking Medium to Long Rangers. So it depends on the Brawlers you are using too. Basically, Feinting is fooling your enemy up, Moving in one direction, Making enemy to attack in that direction. When the attack is launched go in other direction. You can do it Two, Three times, As it is easily predictable. Lobbers and Long range shooters could be easily fooled up. Works best against Colt, Dynamike, Brock, Ricochet, Piper, Spike, Barley, Jessie. Almost every attack could be dodged, But you should practise this a lot, Else you would fail. You have to form an elliptical pattern and rotate. Not recommended to do it, But if its the last survival chance then you can do it. This is the hardest way of dodging at all. This method will not work, If enemy tap and fires. A healthy pattern is randomizing your movements So that enemies cannot predict you easily! So normally, There is a Blue and Red circle around you and your enemy, The colour of the circle indicates which team you are, And when a special attack is loaded for the enemy it will show as second Blue or Red circle around you or your enemy. When the enemy is ready to launch his special attack, a Yellow colour circle is surrounded by your enemy, So watch out for him When the enemy has star power unlocked, A star design will be formed in this circle. You can use it to scare your enemy, Hold Special Attack, and keep on moving near and far from the enemy for Area Control for few mins. So before starting to play with other players, I would advise you to practice a lot with Bots, Thankfully, There is a Practise option in the game, Practise with bots. Check out their range, How good is their attack, How much speed they have, How powerful their special attack is and what it is, After winning matches against bots, You can go and play real matches. Try out different brawlers and find out which one suits you. Spend time with new brawler you unlock. In this game, All the Brawlers are kept on moving in every single second in different direction, So if you are using any long range brawler, You should guess and shoot according to his movement. This is hard but if you want to excel in this game, You should practise it and should guess the enemy movements and shoot according. This tip is very crucial for Long Range Brawlers! Practise with bots. In case of Gem Grab, Heist you can easily predict opponent movements. Most of the events in this game are played with team, So You should play according to your team, Supporting your teammates. Designing strategies according to them. For example: If its Gem Grab, Your duty is to defend the person having most gems. You can choose Brawlers such as Pam, Poco which have healing abilities, Helping your teammates to heal faster and fight more! There are many reasons why you should not group at one place, Many Brawlers, Throwers have Area damage, So on one attack, Damage will be dealt with all of them in a particular place, So it is better to be bit far distance. Tara, A mythical Brawler which creates storm and groups all of them to one place, Avoid getting trapped from those situations. Tip 10 – Be Smart! Use the Obstacles! Obstacles are found all over the map, Like Trees, Bushes and many more. You will notice lots of obstacles all over the map. So if you are smart enough, You can use these obstacles as your advantage, Most of the Brawlers cannot shoot or their attacks pass through it, Except lobbers and Brawlers with special ability can hurt you. So Always know the type of enemies. 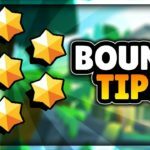 These are some of my Brawl Stars Pro Tips, If you have any other tips, Please let me know in the comment section below. Watch out the video from our friend Kairos to gain more tips! 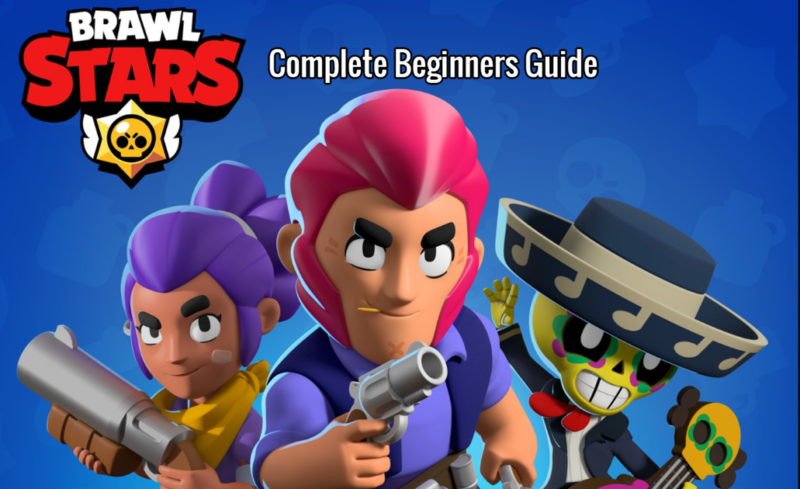 We hope you have liked our article on Brawl Stars Beginner’s Guide, If you keep all the tips and have understood all the basics which I taught your above, You are no longer a newbie. So Do subscribe to Happy Time Games, Press the bell icon, For further more interesting news, Guides, Tips about Brawl Stars.